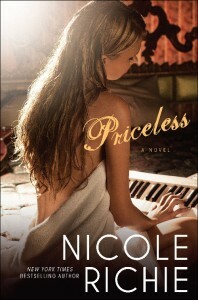 From the stylish avenues of Manhattan and dark clubs of the French Quarter, to the bright lights of Los Angeles, Nicole Richie’s new novel Priceless shows that the very life you run from is the one that won’t let you hide. Tall, blonde, and willowy, 21-year old Charlotte Williams has everything going for her – she’s rich and gorgeous, a talented singer, and bound for Harvard to study law. Since her mother’s tragic death years ago, her father, an extremely successful financier, has been her only family – and if she’s being honest, her only true friend. But all that changes when Mr. Williams is arrested on charges of fraud, and the SEC freezes the family’s bank accounts. With her father in jail, and her partying pals suddenly scarce, Charlotte escapes Manhattan and heads to the one place she doesn’t think anyone will come looking: New Orleans. Determined to make it on her own, Charlotte haunts the city’s night clubs, desperate to get hired as a singer. Along the way, she meets Kat, a fellow fashionista who introduces her to the best of the Big Easy’s bohemian style. With Kat’s help, Charlotte singing gigs begin to heat up – as does her friendship with local boy Jackson.